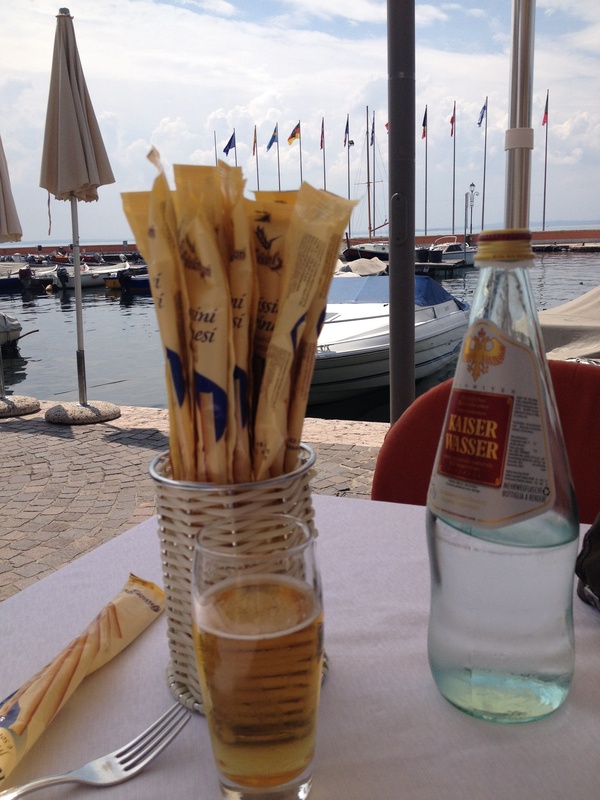 In May I had the good fortune to spend two weeks on the south of Lake Garda. 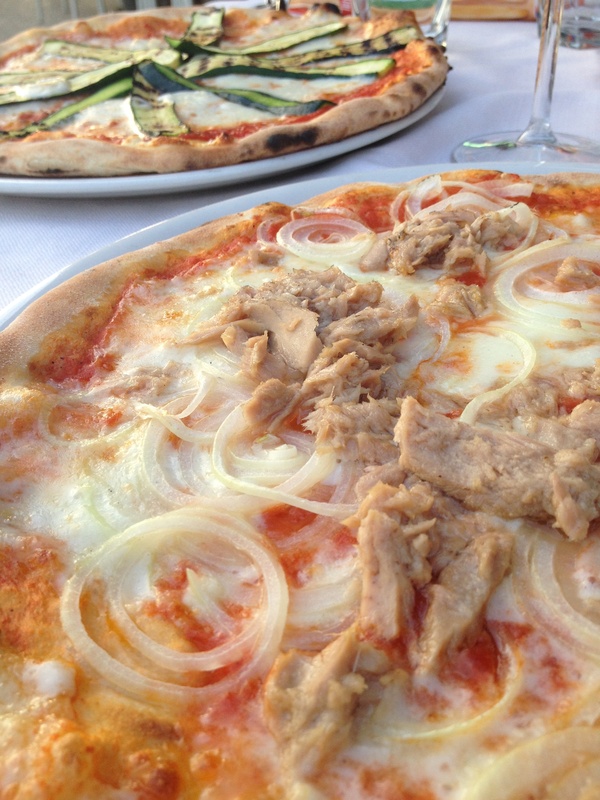 Ah Italy – sunshine, la dolce vita and the famed Italian food. I was actually so impressed by this region and its cuisine that this blog post could stretch to a small book, or at least a very chunky pamphlet, so I will try ever so hard to reign myself in. Lets start at the basics – a nice cuppa. Coffee is an intrinsic part of Italian culture and there is a whole complex code of how and when one should drink it. No cappuccino after 10am and never ever with a meal, also note that the National drink is best drunk standing up at a temperature which allows for downing it. The rules of coffee conduct goes on and on. Rules are made to be broken and so I drank my coffee whenever the mood took me which was not as often as wine but often enough. 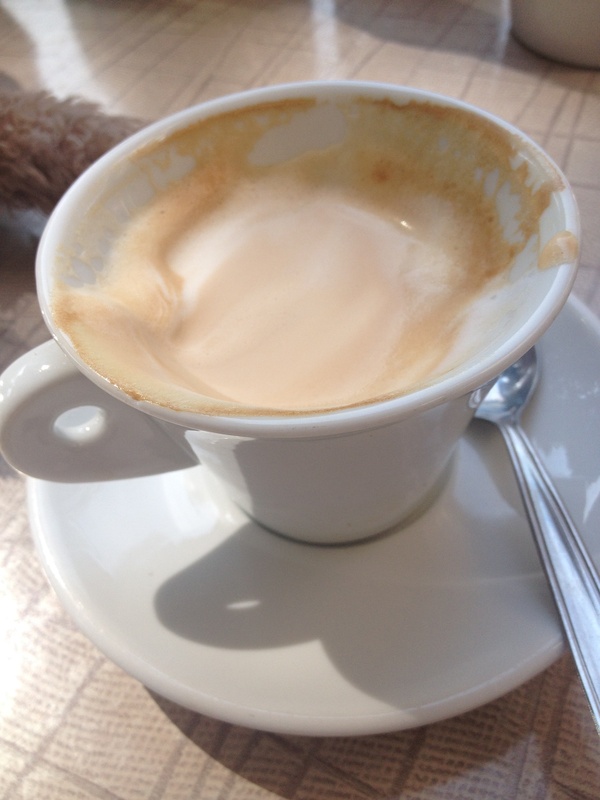 When I first ordered a cappuccino in Italy I thought they had made a mistake. Had they misheard me and thought I asked for an espresso? The cup was ever so small. However I very soon came to realise that what I drink at home equates to a big tasteless milky drink and not a proper coffee at all. It is another experience altogether, a real rich smooth ‘actual coffee’ flavour with a velvety creamy topping. None of this insidious foam I was used to. It was a delight and I just can’t have a Starbucks now without tutting – it has ruined coffees in Scotland forever more. As one would expect I ate my fill of pasta when holidaying in Italy but what I learnt was that less is more – slightly smaller portions and much less sauce. The sauce simply coats the pasta because in Italy the perfectly cooked al dente pasta is very much the main event and not just something to soak up rivers of rich sauce. Everything tastes so damn fresh over there – it’s a sun ripened gorgeous Mediterranean fresh fest of flavours. 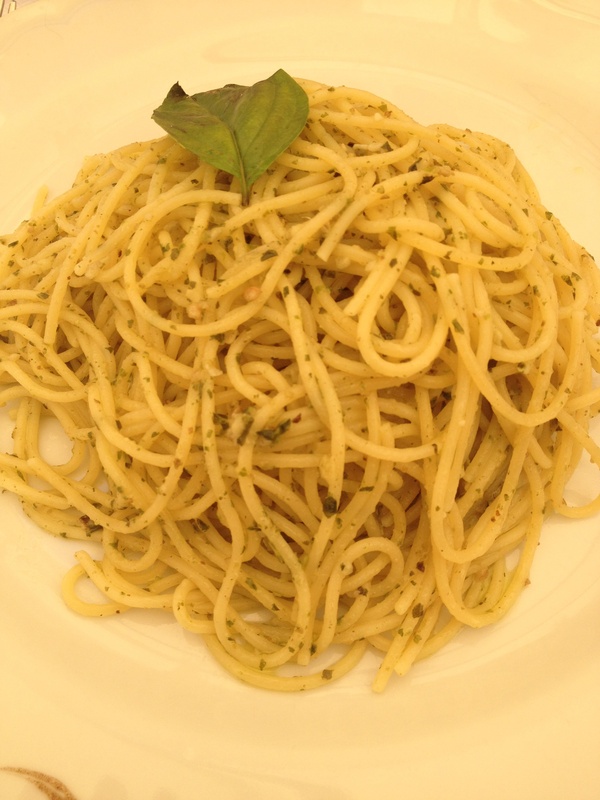 My spaghetti with pesto in Bardolino was divine. I use jars of the stuff at home for time saving but I have vowed to make the effort and whiz up my own from time to time. The difference is ludicrous. You could actually taste the flavour of the chilli in the Arriabiata I enjoyed in a restaurant right on the lake at Peschiera del Garda without the need to mop a fevered brow between red hot mouthfuls, and the sauce was made from the freshest of fresh tomatoes – this pasta had never met a tinned tomato. In Verona we sat people watching in a simple café in one of the stunning squares eating a robustly flavoured mushroom risotto. 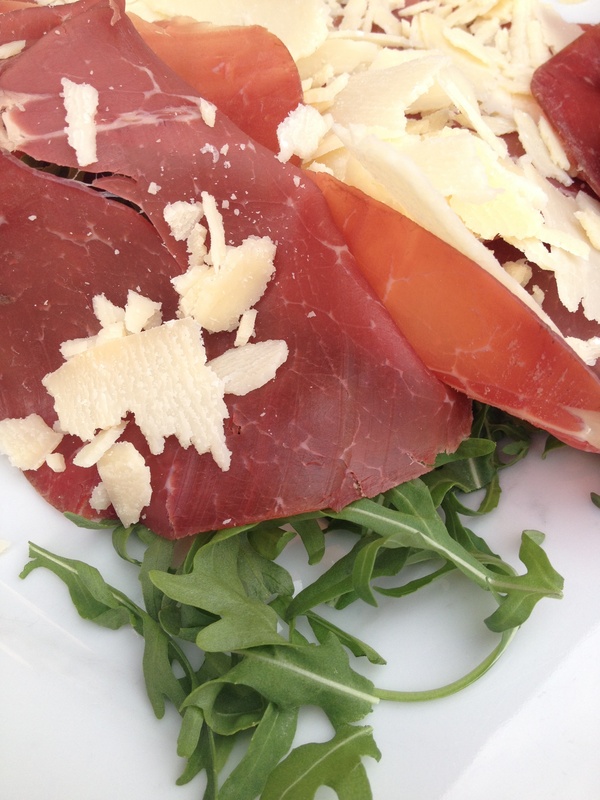 Slice upon slice of bresaola with rocket lemon and parmesan became a firm favourite.We dined like kings and queens in a stunning Osteria in Peschiera – veal for B and an amazing spinach pesto coating an unusual pasta and delicate shavings of parmesan. The parmesan is never whisked away from you either. It stays with you for the duration of your meal (I did love that). Being in Italy with a Bella Bambina did mean that evenings were often spent in our lovely accommodation. We discovered quickly that we could get take away pizza from the restaurant on our Eurocamp site. Bella Bella indeed – thin, crispy, fresh and fabulous. We did eat a ridiculous amount of pizza! 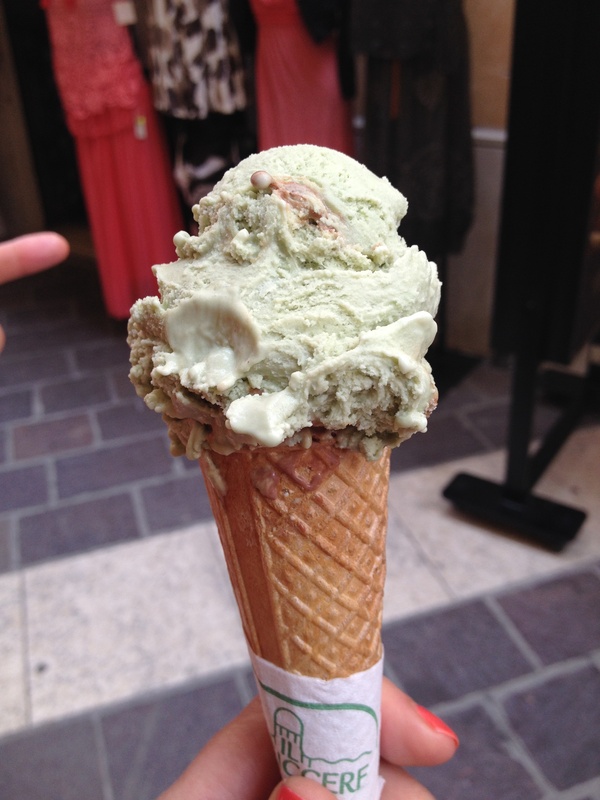 Yes the Gelato was fantastic – pistachio being one of my favourite and we did indulge most days. 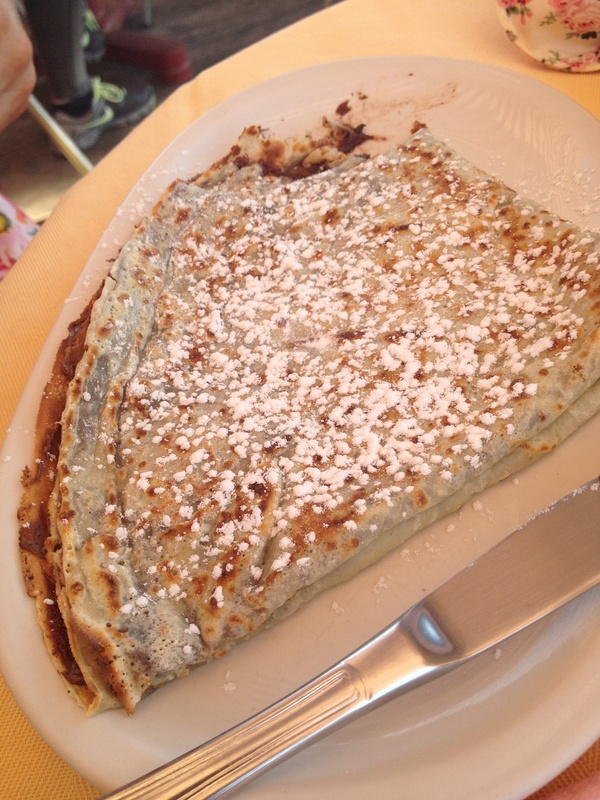 BUT on this trip I went crazy for two sweet bites of loveliness, both smothered in Nutella. Crepes and waffles! I had waffles everywhere but we found the most fantastic little Creperie right on the road opposite the lake in Peschiera manned by a very grumpy Italian man. We discovered it on a red hot day with sore feet and frayed tempers. B was sceptical as despite the undeniable beauty of the lake there were cars whizzing by. The arrival of the crepe melted away any doubts and it was not the last time we sat smiling at the grumpy man and his unbelievable crepes. Bucket loads of Bardolino wine, Prosecco and Amaretto were consumed. In this neck of the woods alcohol is both ridiculously cheap and absolutely beautiful. If they sold wine at that price in Scotland we would literally have people rolling around the streets at all times of the day – we are not famed for responsible drinking. 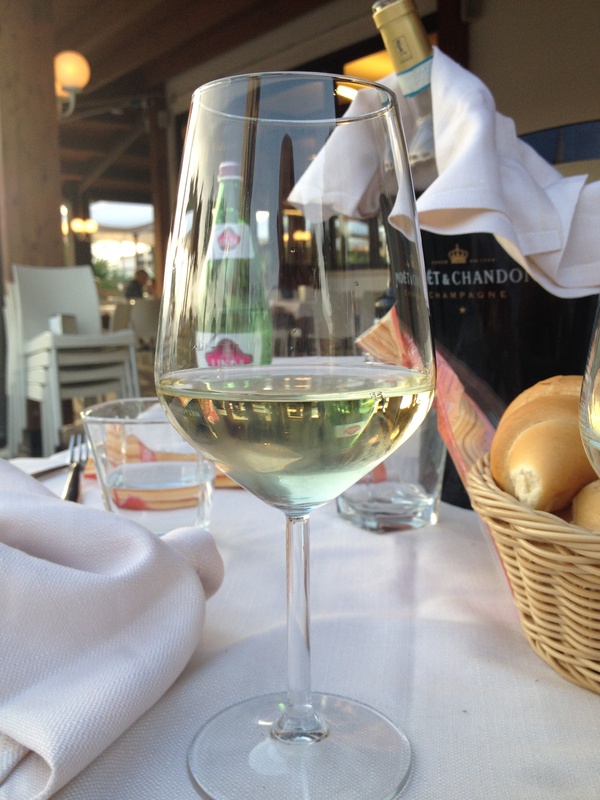 Italians have it sussed – wine with meals and perhaps an Aperol with friends here and there – and that’s all she wrote. Next time (being Scottish) I fancy taking an extra suitcase and stocking up! The only reason that I did not come back fat was that the bambina decided her legs simply would not work in the heat therefore we spent a lot of time weight lifting in the heat. 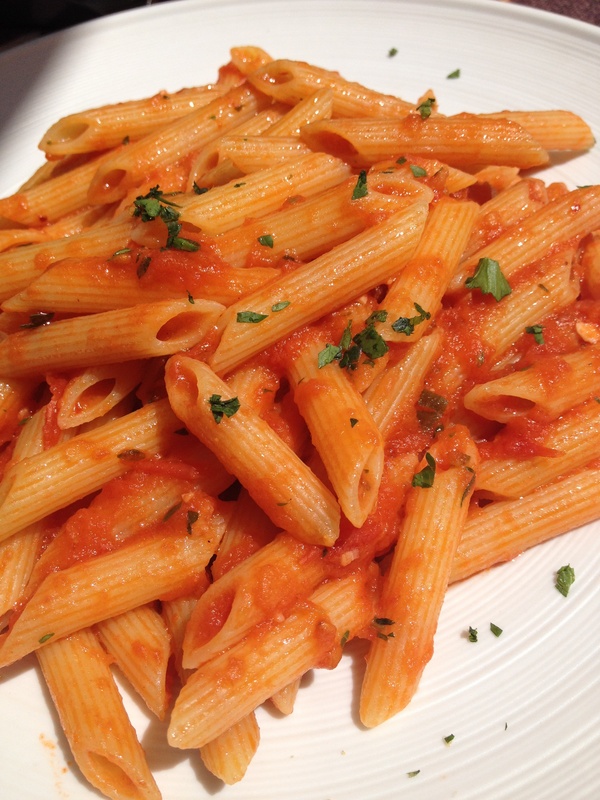 But surely all Italian’s should be fat – they all eat pasta and ice cream and pizzas. Why therefore are they generally slender, toned and very fit looking? Very little processed nonsense that is why. We went to a theme park called Gardaland which was full of kids. What it was not full of was junk food. There was literally no easy way to get hold of sweets, crisps or chocolate or huge fizzy drinks. People walk, they eat large healthy meals, they eat less sugar and processed food and it shows. The biggest wake up call to the state of our nation is joining the rest of the Brits at the Easy Jet terminal in Milan – from slim Italians to a majority of overweight and I am sad to say very unhealthy looking people. I have noticed this after three European trips in the past year and I find it disturbing. Lets take a tip from the Italians. I for one have given up on diets and embraced full fat food but am attempting to ditch the junk. I am trying to be Italian – will let you know how it goes. 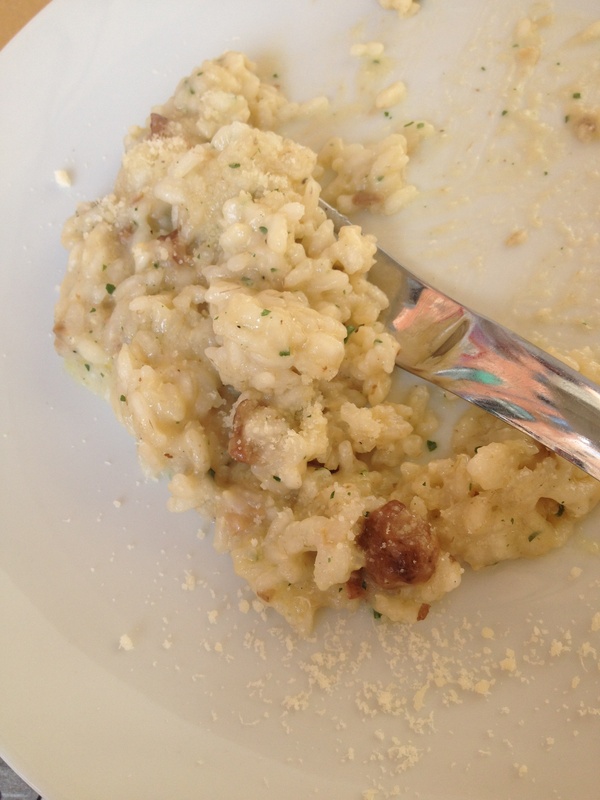 Categories: Uncategorized | Tags: Italian food, Italy | Permalink. Well it wasn’t technically a date night as I had left B at home holding the baby, but it sure felt like it. I found myself in the Stockbridge Restaurant with my good friend Cat on a Tuesday evening. This place was made for couples sharing a romantic tryst. It is quite a small restaurant with soft lighting giving it a cosy and intimate feel. The interior decoration is classical without being stuffy – it was really rather lovely. At this point I have to tell you that we had a bit of a camera malfunction, not good for a food blogger hoping to capture tasty delights on film. Thankfully the lovely guys at http://www.edinburgers.co.uk came to my rescue and supplied me with some lovely pics to use. Turns out they too had enjoyed the Stockbridge restaurant and wisely chosen some of the same items from the menu as we had. Their blog is fantastic by the way, pop over for a gander – www.edinburgers.co.uk. We were presented with a little amusee bush to start proceedings. A small feta, tomato and spring onion salad with balsamic. Might sound a little bland but I can assure you that it was not. I love these little tasty surprises and this one was delicious and light. Trying to be exemplary in my pre holiday diet efforts I had perused the menu at least a week in advance and was all sorted, scallops, fish and NO dessert. Sadly for my ever expanding waistline, with a glass of wine clouding my judgement and the actual menu in front of me, it all went rather awry. I started well however by choosing the delectable sounding seared scallops with cherry tomatoes, tapenade, aubergine and tomato vinaigrette. The scallops were plump, fresh and bloody lovely – I do adore a scallop. I am not sure how you get a cherry tomato to actually taste so intensely flavoursome but the beauties adorning my plate managed to rise way above any tomato I have ever tasted. Maybe one day the chef will share this secret. Who knew a tomato could wield such power! Whilst healthy Cat opted for a sea bass dish I went off the rails easily with the irresistible draw of a pigs lug. 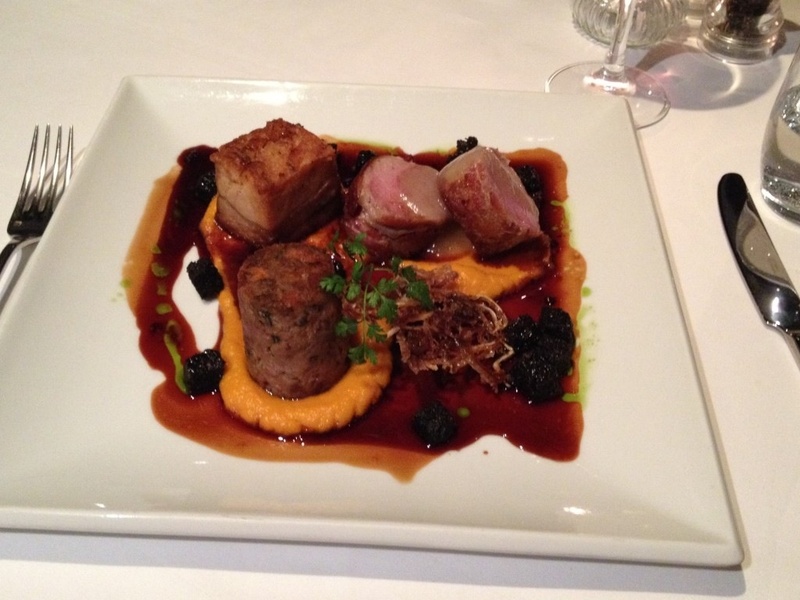 Oh yes ….. Pork fillet wrapped in pancetta, with pork belly, cheeks, black pudding, crispy ear, sweet potato and jus. Now we are talking! This is pretty much my ideal main course. I loved the sound of everything in it. And oh my god was it good. This dish did not disappoint on any level. The pork was tender and crispy in all the right places, the flavour was intense, the little cubes of black pudding were a perfect accompaniment ( wanted more of these). The sweet potato balanced everything really well and can I also at this point mention the presentation – stunning! As ever and much to the annoyance of many a dining partner I didn’t take time to taste their dish. I am always so busy mooning over my own to remember. She did enjoy it very much however and I shall try to do better next time. A little sorbet as a palate cleanser put paid to my idea of ordering sorbet for dessert (long having given up the notion of abstaining completely). Plum crumble with vanilla sauce and praline ice cream won out against chocolate brûlée with chocolate brownie, white chocolate mousse and milk chocolate ice cream. Strangely as Cat ordered the latter I did not forget to have a taste this time. I love crumble and especially a light fruity crumble with an unforgettable ice cream. However as much as I loved my choice, it was overshadowed by the spectacle of Cats chocolate extravaganza. 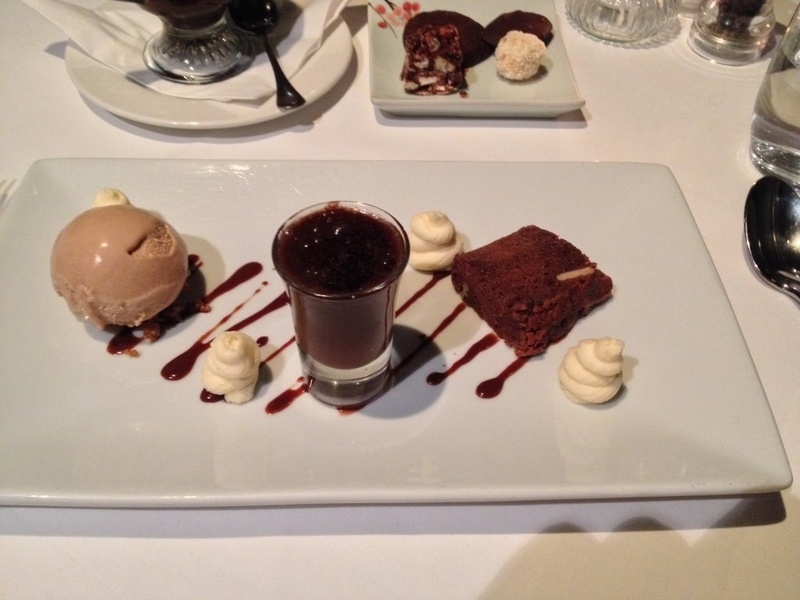 It was amazing and tasted every bit as good as it looked. And so our alternative date night came to a close and we were very happy full up people indeed. 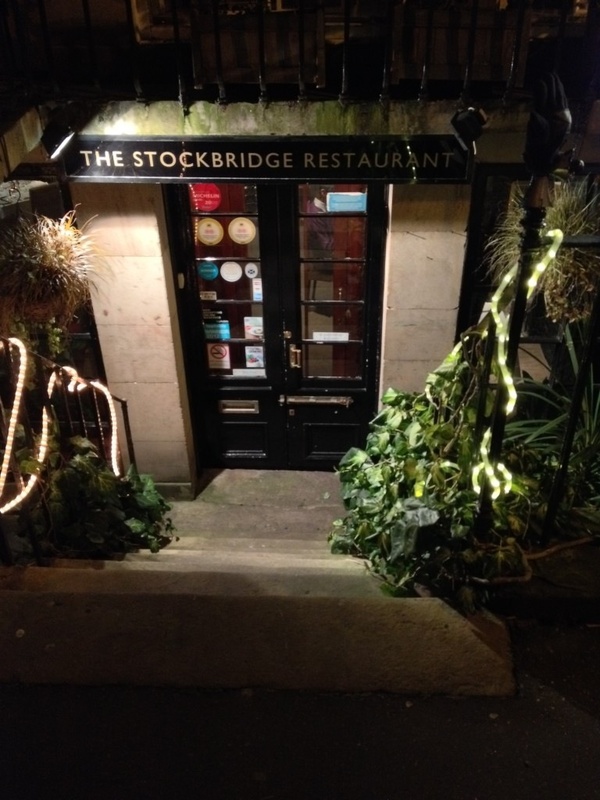 The Stockbridge restaurant is not a cheap option for an evening out but it is absolutely worth saving some pennies for a quality night with stupendous food, attentive service and a rather special ambiance. I loved spending my evening with a Bessie mate but it is couples heaven so Might just have to return with B in tow – soon.